“[Sabbath] declares in bodily ways that … we will not be defined by busyness and by acquisitiveness and by the pursuit of more, in either our economics or our personal relationships or anywhere in our lives. Because our life does not consist in commodity” (31–32). “In U.S. society, largely out of a misunderstood Puritan heritage, Sabbath has gotten enmeshed in legalism and moralism and blue laws and life-denying practices that contradict the freedom-bestowing intention of Sabbath” (20). “Those who participate in [Sabbath] break the anxiety cycle. They are invited to the awareness that life does not consist in frantic production and consumption that reduces everyone else to threat and competitor” (27–28). “The fourth commandment on Sabbath compels rest for all members of the household, all members of the community, human and animal. As such it looks forward to the last six commandments that concern neighborly relations (Exodus 20:12–17). The fourth commandment anticipates a peaceable household and neighborhood and sets out a discipline and limit that will serve that peaceable news. The six commandments that follow on neighborliness reach a climactic point in the tenth commandment on coveting that is presented, perhaps, as the act that is the ultimate destruction of the neighborhood, for coveting generates mistrust and sets neighbor against neighbor” (69). “Sabbath is the great day of equality when all are equally at rest.… This one day breaks the pattern of coercion, all are like you, equal—equal worth, equal value, equal access, equal rest” (40–41). “Sabbath represents a radical disengagement from the producer-consumer rat race of the empire. The community welcomes members of any race or nation, any gender or social condition, so long as that person is defined by justice, mercy, and compassion, and not competition, achievement, production, or acquisition.… [Sabbath is] work stoppage with a neighborly pause for humanness” (54–55). 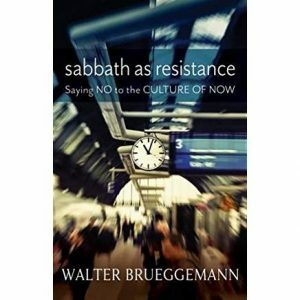 Sabbath is “the pause that refreshes … transforms” (45); it helps reconnect worship with “the well-being of the neighborhood and the protection of the vulnerable” (61; cf. 63, 83–85). For the believer is better defined by the quality of their relationships and the well-being of the neighborhood than the quantity of their possessions (124; cf. 69–89). 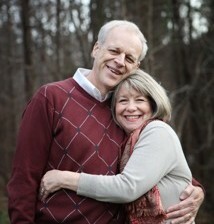 “Sabbath is the practical ground for breaking the power of acquisitiveness and for creating a public will for an accent on restraint.… an arena in which to recognize that we live by gift and not by possession, that we are satisfied by relationships of attentive fidelity and not by amassing commodities” (84–85). Before reading this I though Sabbath meant no work on Sunday period, thank you for explaining what it really means, i feel blessed having you as our pastor. Hi Tom! Brueggemann’s thoughts similarly helped me.